David S. Ware’s new group with guitarist Joe Morris, bassist William Parker and drummer Warren Smith made some very impressive music on last year’s Shakti. But that disc had a tentative quality, as though the bandmembers were feeling their way into a performing rapport, using easy grooves and simple melodies to bolster their largely horizontal improvisations. With his long-standing quartet, Ware was a different man – possessed of a leonine confidence and a staggering tone and power, he seemed to combine lungs the size of beer kegs with a Zen master’s discipline, never blowing an unnecessary or gratuitously attenuated note. This double vinyl release documents that group’s final concert, recorded on 24 March 2007 in Lithuania, and it’s almost overwhelming. The band is so unified that their improvisations feel like compositions – not because of predictability, but telepathy. The opening trio section of “Ganesh Sound” is a massive, throbbing roar, sent into the stratosphere when Ware enters. The intensity is maintained for 17-plus minutes, leading into a tree-uprooting, wall-collapsing version of “Theme of Ages.” A gently swinging “Mikuro’s Blues” seems almost like a respite, leading into a near half-hour version of Sun Ra’s “The Stargazers,” the performance’s centerpiece and highlight, on which pianist Matthew Shipp seems to be playing a celeste as William Parker offers some of the most subtle accompaniment of his career and drummer Guillermo Brown rattles hand-held percussion. At about the five-minute mark, the composition proper begins. Brown hits the toms like John Bonham, and with Elvin Jones dead, he’s got the heaviest kick-drum in jazz; Parker throbs like a tyrannosaurus heart; and Shipp dominates the keyboard’s low end with Gothic fervor. Ware doesn’t enter until nearly ten minutes into the piece, but when he does the intensity ratchets up again, to a level it’s hard to believe they can sustain…and yet they do. The improvised “Lithuanian Whirl” begins with three minutes of unaccompanied saxophone, followed by a four-minute Shipp solo, then another four minutes of Ware. The concluding version of “Surrendered” crashes like waves on the rocks, a suitably thunderous conclusion to this band’s epic musical journey. The Lithuanian (!) free jazz label NoBusiness has got off to such a great start, they’re already beginning to look like the heirs to the whole ESP Disk-Silkheart tradition of vital vinyl documents of contemporary fire music. And this has got to be their greatest move to date, a deluxe audiophile presentation of a concert by one of the all-time great free jazz quartets and heirs to the current previously channeled by the John Coltrane Quartet and the Frank Wright Quartet. 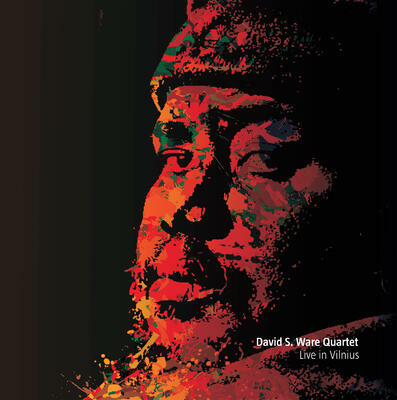 This is the line-up featuring Ware, Parker and Shipp alongside drummer Guillermo E. Brown, recorded live in Lithuania in 2007. This set really has a ‘classic’ feel too it, opening up with a tempestuous Trane-heavy reading of Ware’s “Ganesh Sound”. Another highlight is the side-long plus take of Sun Ra’s “The Stargazers”, with Parker’s bass playing the perfect amalgam of pulse statement, tactile wood and wire feel and inspired tonal/melodic extrapolation. The closing version of “Surrendered” has all of the otherworldly emotional fanfare of Albert Ayler. The whole set is pressed across two slabs of vinyl that play at 45rpm to maximum sonic effect and it comes packaged in a full-colour gatefold sleeve. The David S. Ware Quartet are one of the great groups of my lifetime and this is a release to treasure. Edition of 1000 copies. Highly recommended.